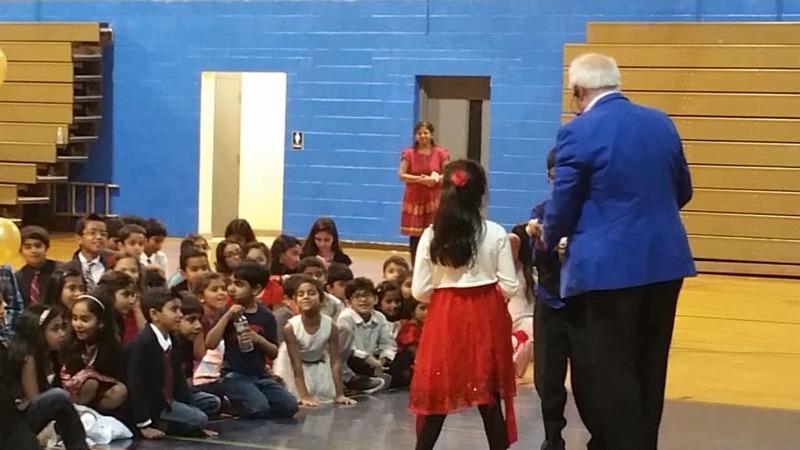 If you are planning a special event in the Montgomery County area, you'll find your ideal entertainment in Montgomery County magician Rick Dziekan and DZ Magic. Rick has been ethralling audiences in the Philadelphia, Pennsylvania Suburban area for many years. Each and every performance is customized to suit your needs by the magician, Rick Dziekan. This assures that your event will be fun and entertaining as well as easy for you. Below, we have listed several performance options available in Montgomery County and surrounding areas. If you are interested in something a little different, just ask! 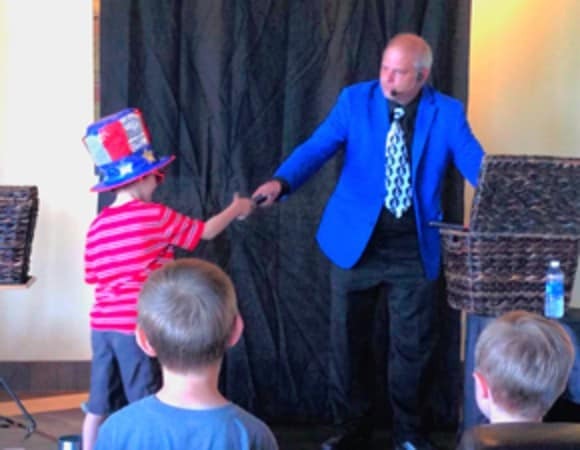 Whether it's a birthday child, grandmom, a special volunteer, or anyone else you'd like to honor, Rick will ensure that an effect is incorporated into the magic show which makes them the star of the show. They will have the opportunity to be on stage and make the magic happen. This makes for worderful photos that can and will be shared on social media opportunity and will be remembered forever! The magic performance at your Montgomery County event is designed especially for your event. After all, the tastes and attention span varies considerably depending on the audience. Is your audience filled with toddler, tweens, a corporate crowd, or a mixed bag at a family reunion? Not to worry - Rick will deliver a magic performance filled with unique effects and routines for every audience. You'll be assured that the show is appropriate for your event! Rick has proven expertise in magic, having performed throughout the Montgomery County PA region and beyond. Rick is even respected enough that he has tutored several Montgomery County area children in magic since 2005 - and they have also gone on to win national magic competitions and TV appearances. Unlike "hobbyist" magicians, Rick is never satisfied with just the classic tricks from yesteryear -- he's constantly creating and designing new magical presentations that haven't been seen anywhere else. Hire Rick to demonstrate these miracles at your event in Montgomery County PA and be the talk of the town!